The moment in the captivating new movie Red Obsession when Chinese wine enthusiasts sprint to a tasting like oligarchs storming the entrance of Art Basel Miami or Gaga fans hurdling into a concert hall, you know you are witnessing a particular degree of infatuation. Opening last week in in New York, this Russell-Crowe-narrated documentary transports the viewer inside the patrician world of Bordeaux wine and among the money-is-no-object Chinese collectors who have now supplanted their American counterparts as the leading importers of investment-grade Bordeaux. The movie packs deep flavor into its 78 minutes, encompassing lush aerial sweeps of Bordeaux vineyards, candid commentary by wine pros such as the UK’s Oz Clarke and China’s Jeannie Cho Lee, and a front-row seat to the Chinese frenzy for prestige wine as both a tool for investment and a symbol of their newly-won wealth. The movie also reveals a certain Bordelais ambivalence towards their voracious patrons in the East, some of whom are snapping up vinous treasures for pure speculative purposes, with no intention of ever wetting their lips. China’s most coveted Bordeaux premier cru, Château Lafite Rothschild, however, evinces no hesitation; aware that “8” is a lucky number in Chinese culture, the estate shrewdly embossed the symbol for 8 on each bottle of ‘08 Lafite. 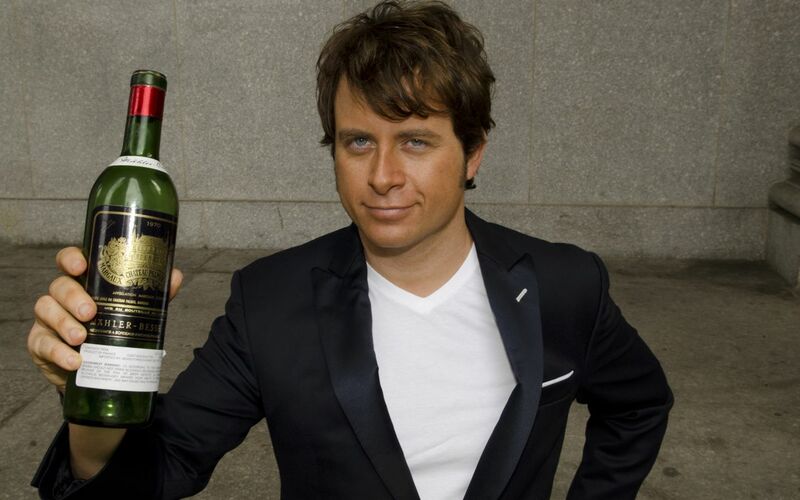 The price of that wine shot up almost 20% days after the labeling was announced. The film also shows us the darker sides of this consumptive ardor, particularly the market bubble that has already begun to deflate and the growing scourge of counterfeiting. And we learn that the Chinese aren’t content to merely buy; they are fiercely interested in cultivating their own vines and beat the French at the own game, converting vast stretches of their homeland with the aim of eventually becoming planet’s largest producer of fine wine. Indeed, visiting Shanghai a few months ago, I tasted a fruit of these new efforts and documented it in this video. 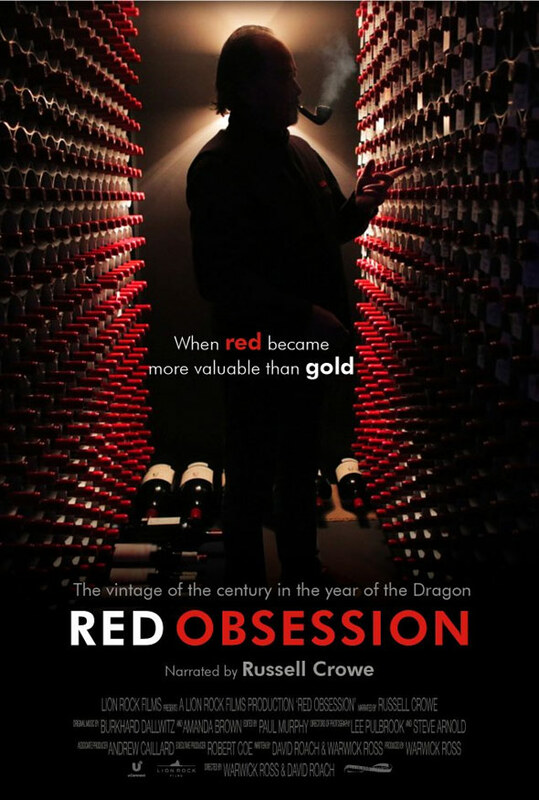 Red Obsession is the rare grape flick with broad appeal, a fast-paced swirl of the economic and social implications that attend China’s explosive demand for fine wine. Ultimately it is about passion: the devotion that Bordeaux vintners have for their storied terroir and their determination to exploit the demand for it wherever they can, as well as the compulsion felt by China’s new rich to embrace symbols of Western success. 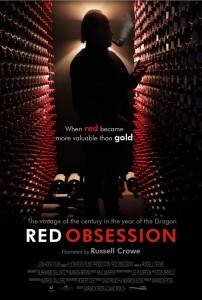 “Red Obsession is currently in limited release in select American cities; check your local listings. You can also download it now via iTunes and Amazon. Aspen FOOD & WINE Classic, how you enthrall with crystalline skies, storybook mountains, megawatt culinarians, and kaleidoscopic memories, culminating this year in a concert by Elvis Costello and delectable morsels by chefs Michel Nischan and Mario Batali. June marked my seventh straight appearance at the Classic, where I taught four times, covering “Standout Sparklers,” “Outsmart the Wine List,” and ”Classique C’est Chic: Modern French Cuisine,” the last being a Lexus-sponsored seminar I presented with Michelin three-star chef Christopher Kostow. At the bottom of this page I list my seminar wines, all chosen with care by a tasting panel of friends that I assemble each year. This being the Classic’s 30th birthday, I wanted to do something special for my always fired-up audiences. In addition to distributing custom “30 Years Never Tasted So Good” buttons, I shipped to Aspen a bit of 30-year old wine – i.e., 1982 vintage — from my personal stash. For my bubbles seminar I brought bottles of Joseph Perrier Champagne Brut Royale 1982, which I had sourced at a London wine shop, which is where you’d expect to find it given the English propensity towards Champagne with the hazelnut quality that comes with bottle age. For my wine list seminar I served bottles of Chateau La Croix 1982, a still-lush red Bordeaux which I had discovered through a Hart Davis Hart auction. Adding to these bonus bottles were magnums of Jordan Cabernet Sauvignon 1982, secured through Jordan Winery’s fabulous Lisa Mattson. In addition to marking the Aspen Classic’s 30th anniversary, 1982 is itself one of the most important vintages of modern wine. It signaled the beginning of a new era of quality winemaking in Bordeaux, as identified at the time by Robert Parker, who rocketed his reputation as wine critic by praising the vintage unequivocally. His enthusiasm and the overall excitement surrounding the vintage inspired legions of new oenophiles, so much so that the New York Times’ Frank Prial wrote that “the vintage changed that the way the world thinks of fine wine in general and of Bordeaux wine in particular”. Wine Spectator’s James Laube has added that that this “breakout vintage” also marked when California wine started coming into its own, an observation well-supported by the still-bright, velvety ’82 Jordan Cabernet. With 1982 a milestone for both the Classic and for wine generally, I knew I had to find a way of further celebrating its importance. So I resolved to assume my teaching duties dressed as a music star from that year. Michael Jackson? Too obvious. Tommy Tutone? Too mysterious. Hall & Oates? Too numerous. I finally concluded that there was only one way to rock, and that was as arena-rocker Mike Reno, of Loverboy and “Working for the Weekend” fame, a bastion of head-banded machismo and red-pleathered ridiculosity. Speaking of the latter, the “Charades”-brand pleather pants I bought in New York lasted only one seminar before becoming prematurely threadbare in all the wrong places. So with multiple seminars ahead of me but the lower half my 80’s-ensemble out of commission, I scrambled to the Internet to find another pair of these terrible trousers. Finally locating them at one Costume Alibi in Bloomington, Indiana, I got on the horn and begged the saleswoman there to overnight me two pairs (one for immediate use and one in case of a repeat ripping). Hearing the alarm in my voice, she assured me that she would walk them over to the shipping department herself. As I revealed to her the name and address of my hotel, I could only imagine what she was thinking: a panicked guy calls her to have two pair of tomato-red pleather pants FedExed to the St. Regis in Aspen. 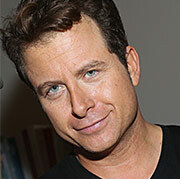 “Billy,” she must have snickered to a colleague, “Looks like we got another one of those Eyes Wide Shut-type orders”. On the subject of the St. Regis, I can’t say enough about this magnificent hotel and its helpful staff. And I do mean helpful. On my second night, just as I was descending into hibernatory, Ambien-induced slumber, I found myself dialing room service for a hamburger and tater tots. Half asleep or not, who can resist a midnight trough of high-end tater tots when it is only a few phone buttons away? When I awoke the next morning, beside me on the bed was the room service tray — fancy flower undisturbed, aluminum lids untouched. As I dug into the mound of cold taters, I vaguely remembered ordering the meal, but had no recollection of opening my door to room service. In fact, I realized, I was long asleep by the time the taters and their transporter must have arrived. Really? Hey now. Part of me felt embarrassed, but the better part was, I must admit, intrigued. No matter what happened, we might just say that this episode brings new meaning to the idea of “service at the St. Regis”. I had the good fortune to share the ride back to New York with a grouping of gastro greats, including Drew Nieporent, Jonathan Waxman (whose roast chicken remains the Platonic ideal), Michel and Lori Nischan, and Marcus Samuelsson. Earlier in the weekend Marcus had tweeted a photo of us each dressed in our Aspen finery, which was a special honor given Marcus’ status as the sartorial sultan of celebrity cheffage. If you haven’t yet dug into Marcus recently-published memoir, “Yes, Chef,” it is a riveting read which reveals, in Aquavit-clear prose, what it takes for an Ethopian-born, Swedish-raised chef to become a world-class restaurateur and brand. Good taste takes New York by storm in just a few weeks with the fifth-annual Food Network New York City Wine and Food Festival. I’m co-teaching “Pickles and Marinades-the Korean Way” with Roy Choi, the LA-based impresario of Korean-inspired delectables; check out this video I did about two years ago from one of Roy’s famous Kogi trucks. And speaking of pioneering BBQ, I’m also teaming with Blue Smoke executive chef Kenny Callighan for a seminar that pairs wine with the restaurant’s spectacular grilled goodness. Both seminars are nearly sold out, so don’t hesitate to grab the remaining spots here. (1) Wine News Network BREAKING NEWS, with correspondent Alison Harmelin live from the courthouse. Video here. 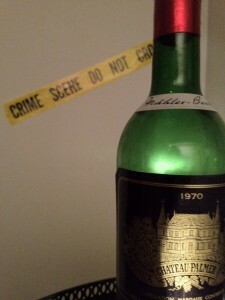 (2) The Criminality of Carrying an Unloaded Bottle of Bordeaux (essay by Mark). Read here. (3) “The People of the State of New York vs. Mark Oldman” (actual court transcript). Read here. (4) Bordeaux? Sediment? Tell it to the Judge. (New York Times feature). Read here. As a wine writer, I see my mission as building a bridge between wine pros and the innumerable folks who feel like they know nothing about wine. What I never expected, however, is that this bridge would lead me straight to criminal court. It began innocently enough at a dinner at Colicchio & Sons in the Meatpacking district in honor of a friend’s engagement. Being a wine enthusiast, he had arranged for several special bottles for those in attendance. A merry time was had by all, and as we exited the restaurant, I spotted one of the finished bottles, empty save for a half inch of undrinkable sediment wash, which is the guck that remains in an old bottle after it is decanted. The wine was a 1970 Chateau Palmer, a rarity whose taste was as magnificent as its striking, gold-and-black label. Its plums-and-truffle perfume and enduringly silky, savory finish is forever etched in my mind. Grape nuts like me hold on to these so-called “dead soldiers” like a moonstruck Iroquoi would collect scalps—part keepsake, part trophy, part talisman. I scooped it up and headed outside. In the crosswalk mere seconds later, I heard the squawk of a police siren, followed by a stern, amplified directive to move to the sidewalk. A police spotlight traced my steps as I froze and shuffled to the curb, the light blazing in my eyes as if I were an escaped convict. Is this really what happens when you don’t pay your E-ZPASS? My friends – good friends that they are — scattered like confetti. The cops drove their squad car over to me, rolled down the window, and asked what I was carrying. An empty wine bottle, I explained, just a keepsake that I was toting home from dinner. They asked to see it, and spied the smidgen of liquid inside. They started writing me up. “No, no, that’s just sediment. It’s what left after you decant a mature bottle…“ My voice trailed off as I realized that this explanation was about as futile as trying to teach them the art of miming. I stood there, resigned to perp status, until one of my friends returned to the scene and informed them that I was a wine writer. That and the fact that the bottle didn’t look like typical swill must have made them realize that perhaps they were acting in error. They exited their cruiser, their manner noticeably warmer. Grateful for this conciliatory act, I thanked them, took the summons and the offending bottle, and caught up with the rest of the group. For the rest of the night, I posed for photos with the bottle, cradling it in different positions as if we were lovers in a photo booth. I marveled that of any time to be issued an open container summons, it happened in the rare instance in which I was packing a 40-year-old bottle of fine Bordeaux. Finally, a Tweetable moment. Then the indignation set in: why should I plead guilty? I was innocent and so was the bottle. I resolved to fight. It took a few months for the case to wend its way through the system, but when it finally did, I was ready for court, though the venue itself was eye-opening. The courtroom was not the sleek chamber of Hollywood dramas but a dilapidated cuckoo’s nest populated with the hangdog faces, scruffy denim, and tobacco reek of reckless drivers, public urinators, and the domestically violent. When the bailiff called my name, I walked to podium, fortified with a suit, tie, and my latest book. As indicated above, the judge needed some time to process that wine writing was actually a job, but once he did, his curiosity ran high. Do I write about the wine before or after I drink it? Am I French? What was the most amount of wine I ever drank in a day? Do I know of Night Train? When the bailiff showed him my book, he paged through it approvingly. “You can have it,” I offered, figuring that it would be a donation to a good cause. Finally, he wanted to know which kinds of wine were most ageable. As I answered, the surreality of having to teach an extemporaneous wine lesson – not only to the judge and court staff, but also, indirectly, to my fellow accused in the room – was not lost on me. The judge flashed me a satisfied glance, and laid down his gavel. Case dismissed, along with my liability for walking the streets with an unloaded bottle of Bordeaux. Drinking bravely can lead to a day in criminal court, even when the wine in question is an empty bottle of 1970 Chateau Palmer. Read about it in the New York Times Style Magazine here.